The US Environmental Protection Agency (EPA) continues to expand and refine environmental compliance requirements, including those related to greenhouse gas (GHG) emissions. 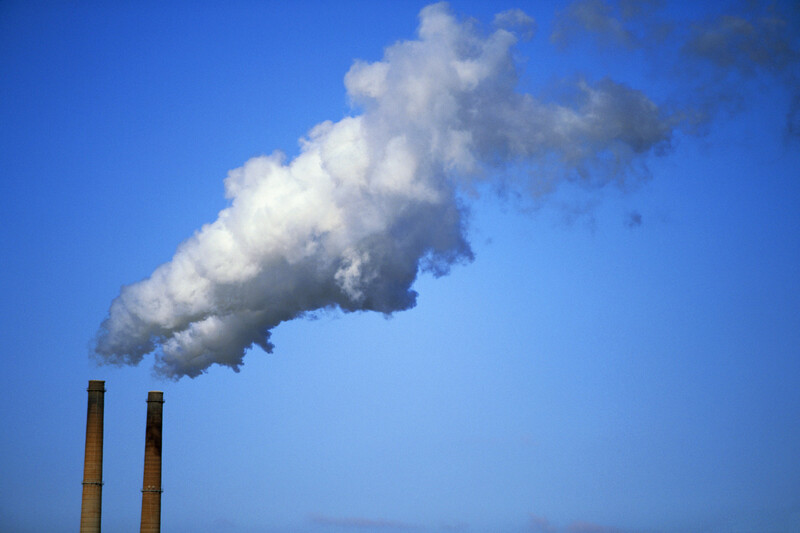 In particular, facilities and organizations subject to EPA's mandatory GHG emission reporting rules should be preparing to submit reports covering calendar year 2012. Even an entity that reported 2010 or 2011 emissions will still have to adjust its data collection and information reporting efforts. Although reports typically are due March 31, that’s a Sunday this year so April 1 is the date. 16 sectors: facilities with a source of any size: electricity generation; adipic acid production; aluminum production; ammonia manufacturing; cement production; electrical transmission and distribution equipment manufacture and refurbishment; electrical transmission and distribution equipment use; geologic sequestration of carbon dioxide; HCFC-22 production; lime manufacturing; nitric acid production; injection of carbon dioxide; petrochemical production; petroleum refineries; phosphoric acid production; silicon carbide production; soda ash production; and titanium dioxide production. Sectors: facilities with emissions above a specified threshold: HFC-23 destruction processes that are not co-located with a HCFC-22 production facility and that destroy more than 2.14 metric tons of HFC-23 per year; municipal; and underground coal mines subject to quarterly or more frequent sampling by Mine Safety and Health Administration of ventilation systems. 13 sectors: facilities that emit a total 25,000 tCO2e from all stationary fuel combustion and uses of carbonate, plus one of these categories: electronics manufacturing; ferroalloy production; fluorinated gas production; glass production; hydrogen production; industrial waste landfills; industrial wastewater treatment; iron and steel production; lead production; magnesium production; petroleum and natural gas systems; pulp and paper manufacturing; and zinc production. All other sectors: facilities that exceed specified emissions: no source in the preceding categories, but with aggregate maximum rated heat input capacity of stationary fuel combustion units of 30 million Btu per hour (mmBtu/hr or greater), that emit 25,000 tCO2e or more per from all stationary fuel combustion sources. 7 sectors: suppliers of the following GHGs or fuels: coal-to-liquids; importers and exporters of fluorinated greenhouse gases contained in pre-charged equipment or closed-cell foams; petroleum products; natural gas and natural gas liquids; industrial GHGs; CO2; and importers and exporters of fluorinated GHGs contained in pre-charged equipment or closed-cell foams. General information about every entity: entity name and physical street address including city, state, and zip code; year and months covered by the report; date of submittal. For facilities, annual emissions of CO2, CH4, N2O, and each fluorinated GHG, separately for each source category and aggregated for the facility. For suppliers, annual quantities of CO2, CH4, N2O, and each fluorinated GHG that would be emitted from combustion or use of the products supplied, imported, and exported during the year. Calculate and report each GHG separately for each source type and aggregated for the supplier. A written explanation of methodologies used (as specified by EPA). Each data element for which required data were missing, and the missing data procedure used (as specified by EPA) and total hours in the year that a missing data procedure was used for each data element. A signed and dated certification statement provided by the owner’s or operator’s designated representative (“Certificate of Representation”). Part 98 includes literally hundreds of pages of details, specifying reporting thresholds, specifying methodologies to use to collect data and calculate reported information, defining exceptions and exemptions, and cross-referencing other EPA regulations as sources for some data. Entities subject to part 98 may also be subject to state-level reporting – for example, California requires mandatory reporting for the same sectors subject to part 98, but generally sets reporting thresholds at 10,000 tCO2e instead of 25,000. Part 98 does not recognize any state requirements, however, so these facilities must make reports under both sets of requirements. EPA has established a web-based system to support GHG emission reporting, entitled Electronic Greenhouse Gas Reporting Tool (e-GGRT). Each entity registers online to become an e-GGRT user. After completion of the user registration process, e-GGRT allows an entity to register facilities and suppliers and submit Certificates of Representation to EPA. Burn fossil fuels and/or use GHGs? Supply fossil fuels and/or GHGs? For each such potential source of GHG emissions, has the entity collected appropriate information? Fossil fuel and GHG use? List of any sources regulated for emissions of GHGs or other air pollutants, and documentation associated with their permits and compliance reports (including part 98 reports from prior years)? Has the entity identified facilities and individual sources subject to part 98 reporting? If the entity is a supplier of fossil fuels or specified GHGs, has the entity identified materials streams subject to part 98 reporting? Has the entity registered with e-GGRT? Has the entity identified and monitored emission sources subject to part 98? Has the entity collected data, applied required methodologies, and prepared required information? Has the entity established required records and record keeping systems? Has the entity submitted required GHG emission report(s) for 2012? Jon Elliott is President of Touchstone Environmental and has been a major contributor to STP’s product range for over 25 years. He was involved in developing 16 existing products, including Environmental Compliance: A Simplified National Guide, Greenhouse Gas Auditing of Supply Chains and The Federal Toxics Program Commentary.